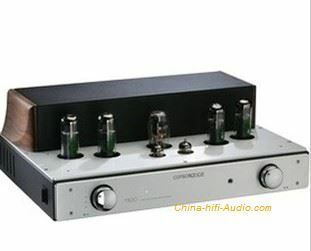 Opera M100 6th generation amplifier is still EL34 push-pull amplifier. Different from the previous version, the machine's dual choke coil power supply line uses the famous Dynaco push line, while using a 5Z4P rectified tube diode power supply for 6U8, more fully play the 6U8 antique tube of the music performance . The sixth generation of M100 also changed the previous installation design, which reduced the overall height of the machine. Moreover, the output transformer is installed on the bottom of the machine, and it is shock-absorbed so that the vibration interference does not affect the amplification system any more. This improvement measure is very easy to detect on the sense of hearing.